David W. Jones, Sergeant First Class US Army. 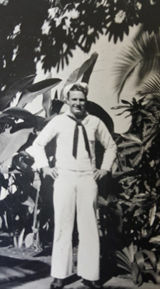 Served in both the Army and Navy 1943 -1945 during WW2 and continued his service for 20 years. Bill, or Davey, as he is known, was Post Commander of VFW Post 56 88-89, District 1 Commander 93-94. He has four children, David Jr., Billie K, Linda and Robert. Bill was born in Macon, Mo. 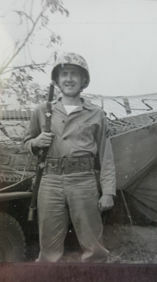 John N. Ochs, Sergeant US Marine Corps. Served in Korean War from 1951 to 1953. He was a draftee and also served in Japan. 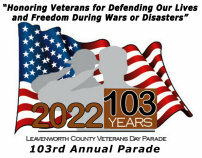 He is a Life member of VFW Post 56 in Leavenworth. He has two children, Roger and Terri Reynolds. John is a lifelong Leavenworth native.